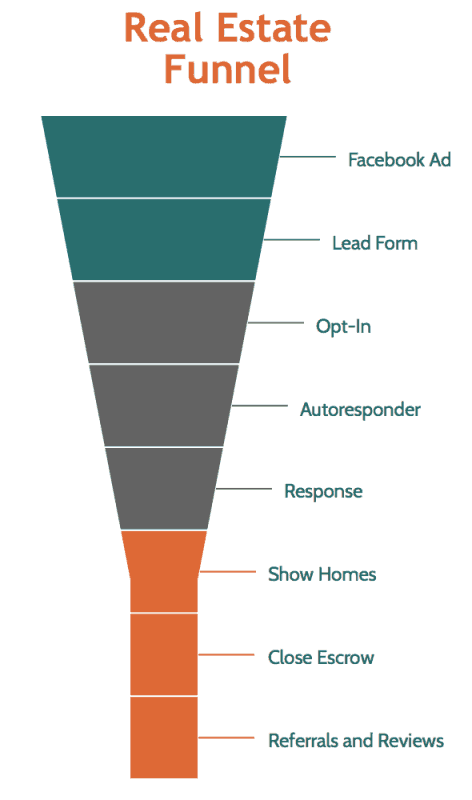 What is a Real Estate Listing Funnel? Highly qualified, exclusive mortgage leads, generated at a fraction of what you’d pay other mortgage lead providers. Multi-channel autoresponders text, email, and tools that enable you to call leads within 30 seconds of inquiring. Continue following up, automatically, for up to a year or until the lead responds. Hours of tutorials, training, scripts, and tools to build a powerful framework for your mortgage empire. Not only do we have direct industry experience but we also work with loan officers and brokers all over the country. We know what works! This program enables Realtors to develop a consistent stream of referrals from MLO’s, title companies, etc… Exclusive real estate leads give Realtors the ability to give away leads to strategic potential referral partners. How much better could it possibly get? Our Facebook Ad campaigns generate leads as low as 1/10 the price you’d spend on the competition, targeted by income, creditworthiness, net worth, and other Acxiom data parameters. Keeping referral partners happy and present is no longer a challenge thanks to our real estate lead generation/sales funnel program. Our Agent Retention Platform allows you to plug up to 25 users in to receive leads and track their activity.